"A very proactive set" which has "got some excellent people." 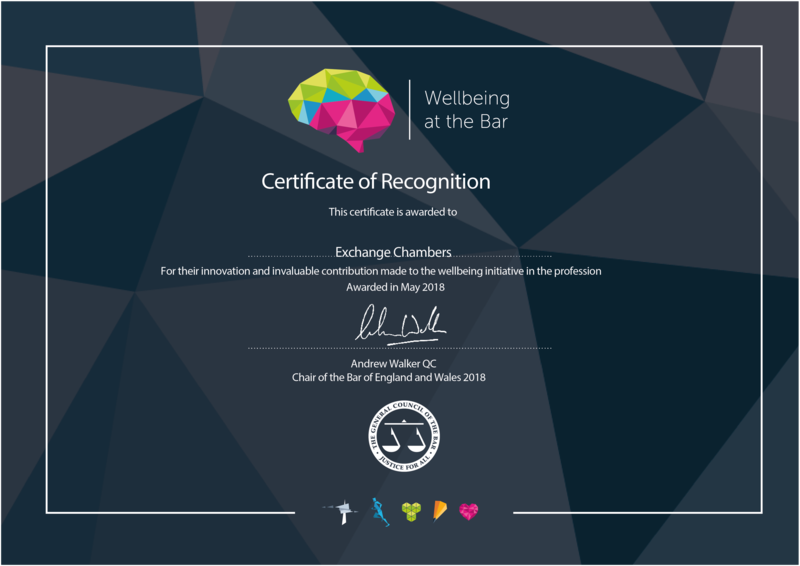 Exchange Chambers is proud to have received the Bar Council’s Certificate of Recognition for its innovation and invaluable contribution to the wellbeing initiative at the Bar. We recognise the need to promote a positive and supportive community for both barristers and staff, and to encourage a cohesive and collaborative culture. Click here to visit our Wellbeing at the Bar profile. Stay posted for more news and updates on our wellbeing initiatives.